We're back in our time machine with the broken dial, and this time we land in 1927. By 1927, the studio system -- with the "big five" (Warner Bros., Paramount, RKO, MGM and Fox) -- was soundly in place. 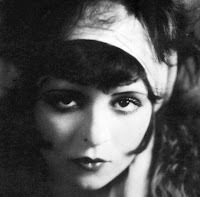 It was the height of the silent era. The art of film had made leaps and bounds since the previous decade, and some of the great works of art in cinema history -- Fritz Lang's 'Metropolis,' F.W. Murnau's 'Sunrise,' Abel Gance's 'Napoleon,' Buster Keaton's 'The General' -- were being produced. Comedy was king, with Harold Lloyd, Buster Keaton, and Harry Langdon making some of the year's most notable films (Charlie Chaplin was between films that year). Movie buffs mostly flocked to see their favorite stars, and Mary Pickford and Douglas Fairbanks became the first such stars to place their prints in the cement in front of Grauman's Theater. The Academy of Motion Picture Arts and Sciences was founded and established the Academy Awards, or "Oscars." The Best Picture winner that year was a war epic called 'Wings,' but there was also an award called "Artistic Quality of Production," which went to 'Sunrise' (wouldn't it be great if we still had that award today?). 'Sunrise' took three awards in all. But the big news that year was 'The Jazz Singer,' wherein Al Jolson appeared onscreen and spoke, saying the prophetic words: "wait a minute... you ain't heard nothing yet!" The movie, which opened on October 6, caused a major stir. Half the people were excited to see (and hear) more "talking" pictures, and the other half were terrified over what that could mean. For some it could mean escalating costs, and for others, it could mean the end of a career. Acting Debut: Barbara Stanwyck apparently debuted as a fan dancer in 'Broadway Nights,' but the film is lost.